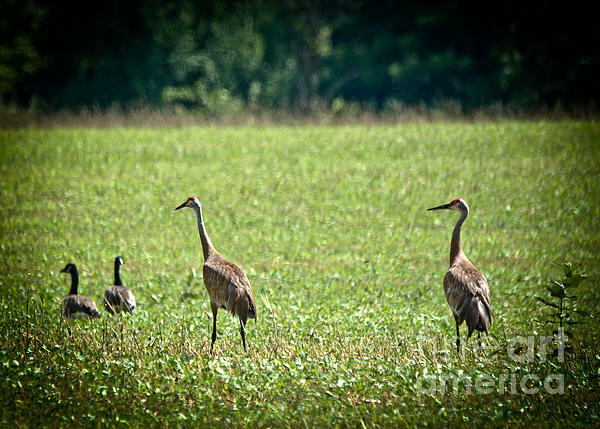 There are no comments for Sandhill Cranes And Friends. Click here to post the first comment. How exciting! 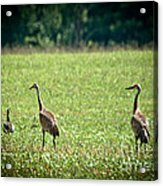 We don't normally see Sandhill Cranes where we live. I know they spend their summer in the area but I have yet to see one like I have in the last week. They spend their winters in warmer climates. The Sandhill Crane is a tall gray bird of open grasslands, meadows, and wetlands. It congregates in huge numbers in migration. The Sandhill Crane does not breed until it is two to seven years old. It can live up to the age of 20. Mated pairs stay together year round, and migrate south as a group with their offspring.